Buying salad can be quite expensive and as it has often been washed ready to buy, it looses it’s freshness before you get chance to eat it. This is where we come in with our How to Grow a Salad Garden at home guide (bit of a mouthful, we know). So why not try having a go at growing it yourself, and having a supply of fresh salad straight from your very own garden? Follow our tips below to get started with a few salad favourites. Lettuce comes in all sorts of varieties, so either pick your favourite or choose a seed mix which contains a few different varieties for you to try. 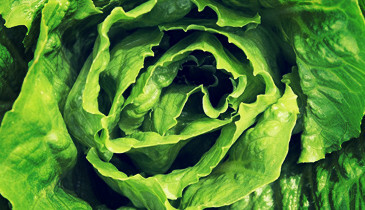 We recommend choosing a cut and come again lettuce variety, that way you can pick the leaves when you need them and it will continue to grow and replenish your stock. These can be harvested when the leaves are around 5cm tall. Lettuce is pretty simple to grow and can cope with slightly shaded spots in the garden. Start by mixing in some compost with your soil to add nutrients and increase the ability to retain soil. Make a shallow trench and sprinkle the seeds evenly along it. Plant the rows around 30cm apart and fill with soil. Water your lettuce keeping the soil moist, but not too soggy and you shouldn’t go far wrong. Like lettuce, rocket will also grow in slightly shaded areas, and it is not particularly fussy when it comes to soil, it just likes the soil to be well drained. Rocket is grown in a similar way to lettuce, dig a small trench and sow the seeds evenly along it and cover lightly. Water the seeds well. Rocket will be ready to harvest around 4 weeks after sowing and can be regularly picked as and when needed. 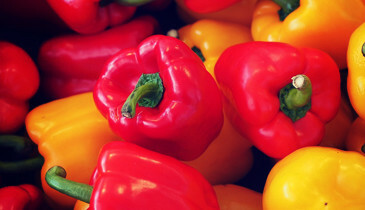 Peppers are not only handy to have raw in salads but are also good for cooking too. They require a sunny and sheltered spot with free draining soil. Sow the seeds and cover them in a thin layer of compost. They can be started off in pots on a sunny patio or in a greenhouse, and then moved to their permanent position after around 8 weeks. At this stage, plant them approximately 45cm apart and keep the soil moist. They like to be kept warm, so a cloche or fleece protection will help your harvest greatly. Pick the peppers when they are green and shiny, picking them at this stage will allow further peppers to grow. Alternatively they can be left until they mature and turn red giving a different flavour, however this will result in less peppers grown through the season. Cucumbers can be grown both inside greenhouses and outside, so make sure you choose the variety to match where it will be grown. As not everybody is lucky enough to have a greenhouse, we are concentrating on growing outdoor varieties known as ridge cucumbers. Sow cucumber seeds in pots initially, placing the seeds 1cm beneath the soil on their side. The pots should be 7.5cm deep (3 inches). Keep them in a warm place for around 10 days while they germinate. Following this, move them to a bright windowsill until they are large enough to move outside. When planting the cucumber plants outside, leave around 90cm between plants. It is a good idea to gradually introduce them to outside conditions in the week leading up to their move. They will then be ready to harvest 12 weeks from planting when they are around 15-20cm long. 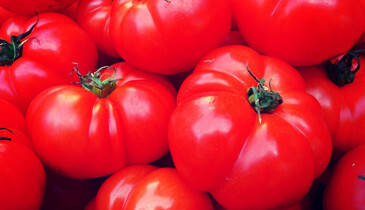 Tomatoes are great for brightening up your salad, and don’t come much better than straight out of your back garden. 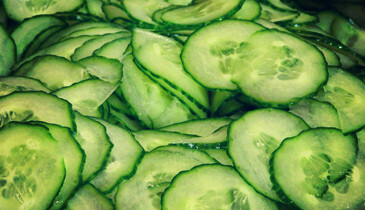 In a similar way to cucumbers, they are often grown in greenhouses but they can be grown outdoors too. Like with the cucumbers, start the plants inside allowing them to germinate and begin to grow before planting them outside. When the plants are about 20cm tall, they are ready to move to their permanent home outside. Outside they like soil with lots of nutrients, so mix in some compost ready for them beforehand. Plant them around 45cm apart and in rows with 75cm between them. As the plants grow bigger, support them using canes so they grow tall and strong. As soon as they turn a nice bright red colour, they are ready to harvest and enjoy. 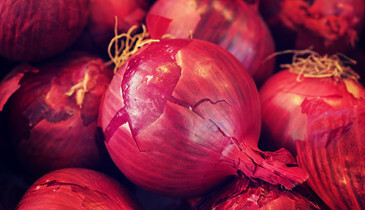 Red onion is a nice addition to any salad, with its strong flavour and bright colour. The easiest way to grow onions is from bulbs which are called sets. Start with a good soil and compost mix and dig a hole about 5cm deep. Plant the bulb with the flat and down and cover it with soil. Each bulb should be planted about 10cm apart. Water the bulbs thoroughly just after planting to get them off to a good start, but following this they will only need watering once a week, or the rain will take care of them. The onions will be ready to harvest a week or two after the leaves turn yellow. Loosen them with a fork and then leave them on the soil for a day or two to dry out. They can then be stored in an airy, dry place for several months ready for you to enjoy. Hopefully this will inspire you to grow fresh salad ready to pick and eat straight from the garden as and when you need it. Once you get the hang of it, just introduce more of your favourites and keep growing!